a bit of everything: let the wood chips fly!! let the wood chips fly!! 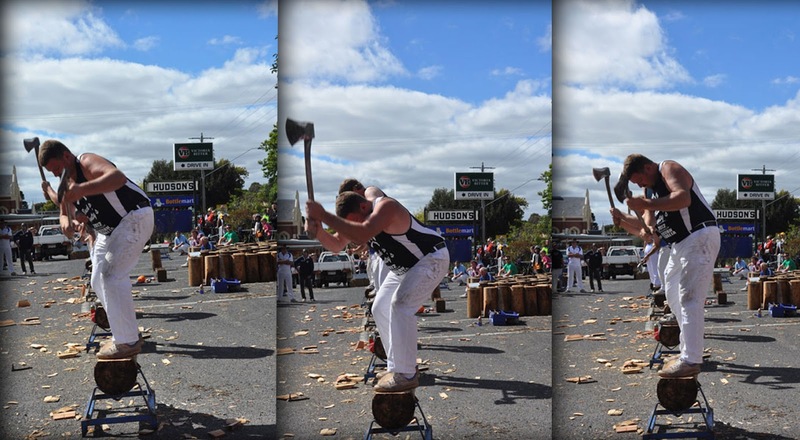 At The Ballan Autumn Festival last weekend [March 25 2012] we had the pleasure of watching the wood chopping event. Something I had not seen for many years! It has been said that the sport we now know as woodchopping originated as the result of a bet between 2 men in a bar in Ulverstone, Tasmania [Australia] in 1870. 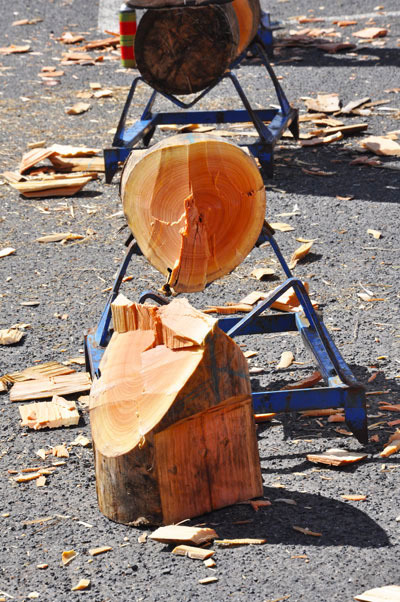 Jack Biggs from Warragul, Victoria and Joseph Smith form Ulverstone, had a wager for £25 to see who could fell a tree the fastest. 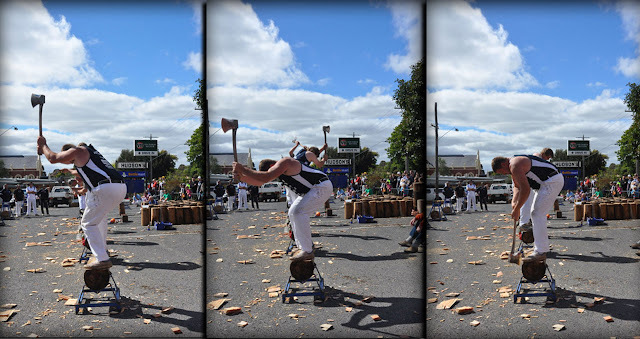 The World's first woodchopping championship was held in 1891 at Bell's Parade, Latrobe, Tasmania. 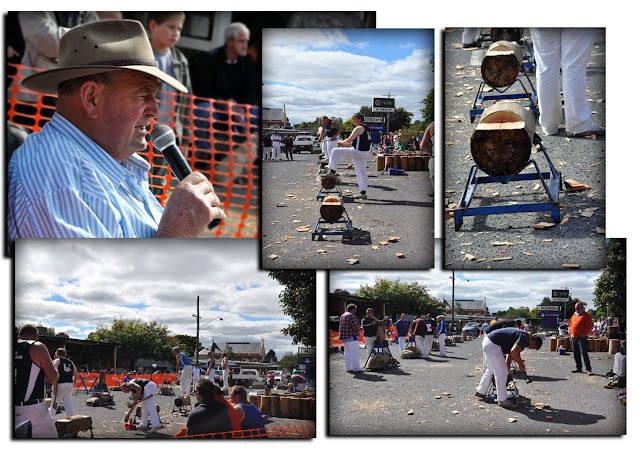 This event was celebrated and commemorated with the selection of the site to be the home of The Australian Axemen's Hall of Fame and Timberworks. Woodchop or wood chopping is a sport that has been around for hundreds of years in several cultures. 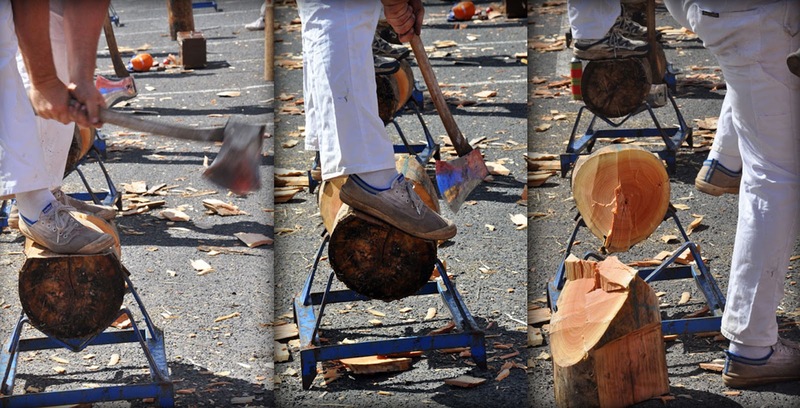 In wood chopping competitions, skilled contestants attempt to be the first to cut or saw through a log or other block of wood. 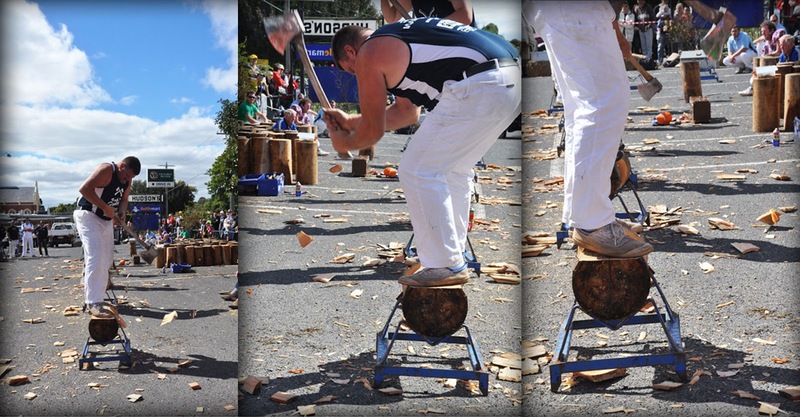 It is often held at country festivals and agricultural shows. above: getting ready for the event. and 23 seconds later he steps away from the block and is finished!!. If you ever have the opportunity to watch such an event, do so. It really is amazing to watch! 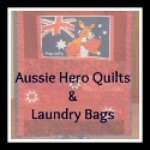 further blog posts will be on The Parade, The Quilt Show and the Vintage Vehicles ..... stay tuned!